The world has been consumed by Islam. The push button was on 9/11, 2001, when two towers, that symbolized the might of the United States, crumbled in front of the entire world, in submission to Islam. Nineteen Moslem terrorists, who took advantage of America's freedom and the privacy of the individual, roved around the courtly, without being asked for what, learned to fly airplanes, without knowing how to take off or land them, and no one asked them why; then, without being asked any question, they boarded four passenger airplanes and hijacked them. The terrorists, who knew why all they needed to know about piloting airplanes was to fly them, while the planes were already airborne, directed two of the four planes into the Twin Towers of the World Trade Center, in Lower Manhattan, New York City, and toppled the American Nation's pride to Ground Zero. That was the awakening point for many Americans and people around the world, who all began to understand that Islam is marching fast to conquer the world. If one wants to face reality, all that one had to have learned and know about Islam began and ended on 9/11, 2001.. However, that is not the case here. The world is consumed with Islam. Each day we read and hear about its ideology, its culture and its goals; we learn much and we know nothing. It appears that the entire free-non Moslem world simply refuses to take Islam at its face value and factual reality. Therefore, the non Moslem world keeps on kowtowing to Islam, appeasing its members, being fearful and anxious of its behavior and eruptive mood and in paralysis to stand up to it, in order to end its disruptive conduct everywhere. At the end of WWII, Europe started regressing into a multiculturalism society. No one had to be Italian, French, British, Swiss or the like to live in the European countries. The indigenous charm of each European country was replaced with colorful, but destructive, multiculturalism freedom. Immigrants who arrived to the European countries retained their culture, language and customs and were told, you do not need to integrate. With the end of colonialism in Africa and the Far East, the European colonialist countries opened their gates to Moslem immigration; these immigrants arrived to European continent and imported with them, into the heart of each country where they have taken residence, their homelands with their Islamic ideology and culture. Along the lethal combination of multiculturalism, Islamic ideology and mentality and the growing Islamic demography, Europe is now sinking into a Moslem cesspool, of hate and disobedience; Moslem hate anything that is not Moslem and are now obsessed with the idea to take Europe over and make it a Moslem continent, part of the Islamic Caliphate. Other western countries, such as the United States, Canada, Australia and the like, have also seen a change in their Moslem population. In all these countries, Moslems have become more aggressive in asserting and showing off their religion, whether in the way they are dressed, especially women, and behave. Moslems are now even less willing to integrate. They are waving their arrogant Islamic conquest aspiration, to dominate the country where they live, and they are using its democratic system to achieve their goal. Furthermore, at the end of World War II the world has lost its ability to fight to win; to bring the enemy to its unconditional surrender. Now when the United States has to go to war against a Moslem nation, as in the circumstances brought about after 9/11, it goes to build a nation, not to be victorious. This process has been a total failure. In the case of the State of Israel, being the only non Moslem country in the Middle East, the Jewish state has been fighting a war of attrition, the Moslems have launched against her, the very same day the State declared her independence. However, the State of Israel has not learned how to fight Islam jihad and be victorious either. It appears that the non-Moslem world is now taking an ongoing lesson, in which it is constantly learning about Islam and this appear to be an infinite learning curve. And what we are learning is that Islam is not a religion, rather an extreme political ideology and it is not a pretty or peaceful one, rather evil with wicked intentions. Empty promises bring anger and disappointment. This is what Moslems do, they give vapid promises and lie to us all the time. Moslems use Taqiyya, which is the art of lying to promote Islam's goals and cause. The word "al-taqiyya" literally means, concealing or disguising one's beliefs, convictions, ideas, feelings, opinions, and/or strategies at a time of imminent danger, whether now or later in time, to save oneself from physical and/or mental injury. In political terms, it is used by Moslems to intentionally conceal Islamic doctrines in order to gain influence and deceive the infidels, the so-called enemies of Islam, which is, in all likelihood, the entire non-Moslem world. A one-word translation would be dissimulation. That now leads us to the conflict the Moslem-Arabs have with the Jewish State of Israel. For the past two decades, the State of Israel has conducted ongoing negotiations with the Arabs, a/k/a Palestinians, to achieve "peace" agreement with them. These negotiations were based on the Islamic Taqiyya approach, based on many empty promises. To achieve her desired peace, Israel came up with the Oslo Accords idea of negotiating with terrorists, and then dragged the United States and the EU into believing that this move, for the sake of peace with her stanch foes Arabs, was a good idea. It was not a good idea for Israel but it was very a good idea for the Arabs. Now the Arabs, the USA and the EU are very convinced, that this process, of negotiating with people who are bent on genocide is the best for both sided, while Israeli is chewing cud for taking such daring step. Based on their Taqiyya, the Islamic method of lying and deceiving, the question no one is willing to take to task is why do Israel and the Quartet think that if they could only get a promise from Mahmoud Abbas, the spokesperson for the Arab-Palestinians, that he will recognize Israel's right to exist, as the Nation State of the Jewish People, peace will prevail soon. After all, the majority of the Arab-Palestinians, of all factions, believe that Israel has no right to exist and they want to see her demise! How is it possible that Israel, the Nation of King David, is more than willing to make pinky clenched agreements, with people who freely elected terrorists as their leaders, and think they would acknowledge the sovereignty of Israel, based on their promises of peace agreements, signed on worthless pieces of paper? But this is the reality that many Israelis, Jews and non-Jews alike, around the world, have refused to face for more than 20 years and running. It now must be clear and obvious that the Arab-Palestinian leaders knew they will not keep any of their promises, for soon they would be free to act with impunity, as they are doing now with full world's support. The naiveté of the non-Moslem world to the nature of Islam is daunting and alarming. For instance, on January 25, 2006, the Palestinian Legislative Council held its first election since 1996. The final results announced that the terror organization Hamas had won 74 of the 132 seats, while Fatah trailed with 45 seats; that gave Hamas the ability to form a majority government on their own. President Bush was rather surprised that the majority of the Arab-Palestinian people, who went to the poles and excised their God given right to freely elect, elected a terrorist organization to lead them. President Bush assured the American people – and the Israelis - that these elections are a further proof that when given a choice, peoples will elect a government that will represent them when they seek to live in liberty. He was right and wrong. The Arab-Palestinians elected Hamas, a terrorist organization, to lead them but not to live in liberty. That speaks volumes of the naiveté of the United States leadership and the world as to the Moslems' cause and intentions. After all, Hamas is bent on genocide, to kill all Jews, and to destroy the state of Israel. It is also the enemy of the American people. That is what the Arab-Palestinian people want and they had elected the leaders to carry out their wish. This 2012 year, the Arab-Palestinian people are due to participate is a presidential and parliamentary elections and the world is waiting to see whom will they elect this time to lead them. The West, in its camp Israel is included, is following a trend of making concessions to the Moslems for their fool's gold. In European cities, areas where Moslems live, have become no-go zones; a country within a country. A Moslem, Qur'an ruled country within a free democratic country, which is totally adversary. In Israel, there are no go zone in many Arab villages within the state's boundaries; an Arab-Moslem tyranny within democratic Israel. All this amounts to the progressive encroachment of tyrannical Islam into the free world's borders. As reality indicates now, the next stage will be a nuclear Moslem world. The west is not at all determined to stop Iran, the number one exporter of terror in the world, from acquiring nuclear arsenal. Once Iran acquired nuclear capability, which will be a global threat, the balance of power in the world will irrevocably change. But that is not where it will end. As soon as Iran has declared that she is all set with nuclear capability, every Moslem country will follow suit and acquire nuclear capability and the world will become one big A-Bomb storage, ready to explode, while killing millions of people in the process. The Moslems give their allegiance to Allah and the Qur'an, over their allegiance to protect the people's inalienable rights to establish a democracy, rather than live in tyranny. Islam does not believe in democracy. Without establishing the principles of a democratic Constitution, Moslem societies are like a blind man with a flashlight to help him find his way out of the dark. While one can try disguising a zebra as a pony horse, by painting its white stripes black, one cannot disguise a Constitution, that is compromised by tyranny at its core, and call it democracy. This because the stain of tyranny, which will be the byproduct of this constitution, will immediately surface and will spoil the very fabric that guarantees the blessing of liberty to the Moslem people. We can see this process developing in countries where the "Arabs Spring" took place. These societies purged the autocrats who ruled them for decades, and replaced them with a collective tyranny of radical Islamic rule. Pure example is Egypt. The Arab Spring there is turning into a gathering winter storm of Islamic radicalism. 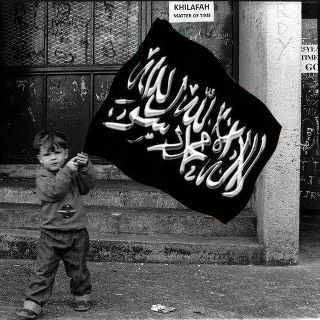 Islam is a time bomb waiting to explode in our children's future. We must not permit this to happen. For those in the West who say that it will take time for democracy to grow in the Moslem world, and nations like Iraq or Egypt will develop their own brand of democracy, because of theirs and ours cultural differences, we ask them, what democracy they are talking about? Certainly not the one the Founding Fathers fashioned over 200 years ago in America, or the one that is practiced in democratic societies. The enlightened world did not come all this way to endorse a second rate document in liberty's name. Or did it? There is only one brand of democracy and only one culture under its domain- the culture of freedom. At the end of WWII, the United States insisted that Germany and Japan will first establish a constitution of Americas' choice to end their cultures of tyranny they had before and during the War. Therefore, today, the Germans and the Japanese are reaping the benefit of liberty's blessings. The Arab Spring has given the Moslem countries a fair chance to have such constitution established, but it appears that they may have missed this great opportunity and chose radical Islam to rein over them instead. Could there be one Moslem country an exception to the rule that will become a beacon of democratic light to all other Moslem countries? No one can predict this conundrum. In the meantime, we cannot secure the victory for democracy in any Moslem country, unless all the remnants of tyranny are severed first. President Abraham Lincoln knew this when he burned down the south, in the civil war that ended America's attachment to slavery. President Harry Truman knew that he needed to win the war with Japan and liberate the Japanese people from the grip of tyrannical evil. In Japan's case, it took the atomic bomb to demonstrate to the Japanese people that there was something more powerful than their blind allegiance to tyranny. Will it take the atomic bomb to wake up the Iranian people to get rid of their tyrannical mullahs as well? Tyranny cuts off all avenues to freedom of press, thus, the watchdog of our liberties is blinded. It cuts out the tongue of its dissidents so the freedom of expression is silenced; it paralyzes the mind, through fear and intimidation, so any personal allegiance to freedom of thought and conscience is replaced by the rigid rules and dictates of the oppressor. The tyrannical leaders are the true enemies of humankind and in their lands soulless is cultivated and housed. One cannot negotiate in good faith with such regimes, as they are planning your demise. The United States' duty, as the defender of the free world, is to prevent any attacks from Iran on any free nation, to include Israel. If this goal is not achieved before Iran acquires nuclear capability, that will mean nothing more than an act of surrendering to the totalitarianism of the Moslem and Arab nations that are the breeding grounds for worldwide terrorism. In the Middle East region, where free speech could lead to the questioning or disapproval of a state-approved religious mandate, the pledge of allegiance could be: “One nation under Allah with liberty and justice for no-one.” That will apply to any western nation that will allow Islam to continue taking it over, as such reality transforms in front of our eyes. Or, the indigenous people of the free nations could chose the slogan,"One nation, free of tyranny with liberty and justice for all."